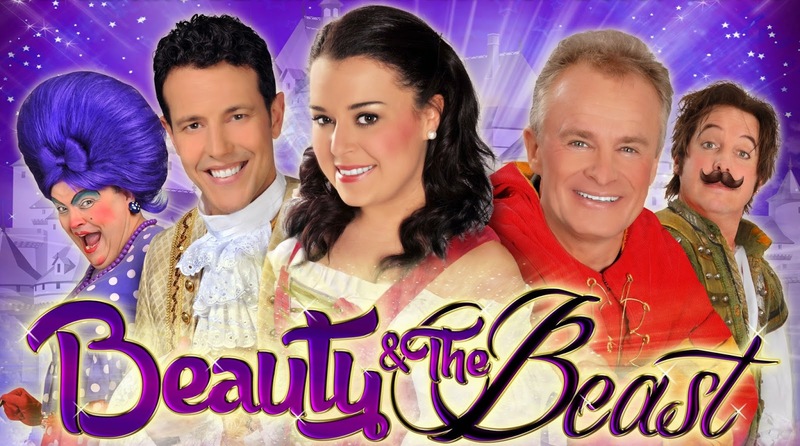 Lee Latchford-Evans from STEPS confirmed as the Prince/Beast alongside Tracy Beaker star Dani Harmer as Beauty and comedy legend Bobby Davro as Silly Billy in the touring production of ‘Beauty and the Beast’ coming to Darlington this Easter. This April, Darlington will host another Enchanted Entertainment Easter extravaganza, an all-new professional pantomime version of ‘Beauty and the Beast’. Enchanted Entertainment, producers of many popular family theatre shows nationwide, are planning another theatrical spectacular but this time at Darlington Civic Theatre on Wednesday 1st and Thursday 2nd April 2015 as part of a large-scale national tour. Producer Jezz Weatherall said: “We’re really looking forward to returning to Darlington with this special Easter production. The show’s got a great cast of TV stars, a host of brilliant songs and truly amazing dancers. We know how popular the Christmas pantomimes are in Darlington and we’re going to give audiences another quality family event this Easter, with the magical story of Beauty and the Beast”. Enchanted Entertainment will be bringing four performances of ‘Beauty and the Beast’ to Darlington Civic Theatre on Wednesday 1st and Thursday 2nd April 2015. The cast features a host of top quality performers including pop star Lee Latchford-Evans from STEPS as the Prince/Beast. Lee has sold over 20 million records and achieved 14 consecutive Top 5 singles with his STEPS bandmates. Also starring in the Easter panto is the No. 1 children’s TV star Dani Harmer ‘Tracy Beaker’ in the iconic role of Beauty. Dani also reached the Strictly Come Dancing Final recently and she will be joined in ‘Beauty and the Beast’ by comedy legend Bobby Davro as Silly Billy. Director Guy Pascall said: “It’s going to be great fun for all the family. ‘Beauty and the Beast’ is one of the most magical pantomimes of them all and over the years it’s become a firm favourite with audiences of all ages. The story has such wonderful characters and really has something for everyone. We can’t wait to start rehearsals in March ready for the tour and we’re really looking forward to entertaining Darlingtonaudiences with our production at Darlington Civic Theatre”. Enchanted Entertainment have assembled a fantastic cast and are planning some true pantomime magic to ensure ‘Beauty and the Beast’ will be a spectacular family show with wonderful sets, brilliant costumes, high-octane dance routines and plenty of popular songs to please all ages! Beauty & The Beast runs at Darlington Civic Theatre from Wednesday 1 to Thursday 2 April.